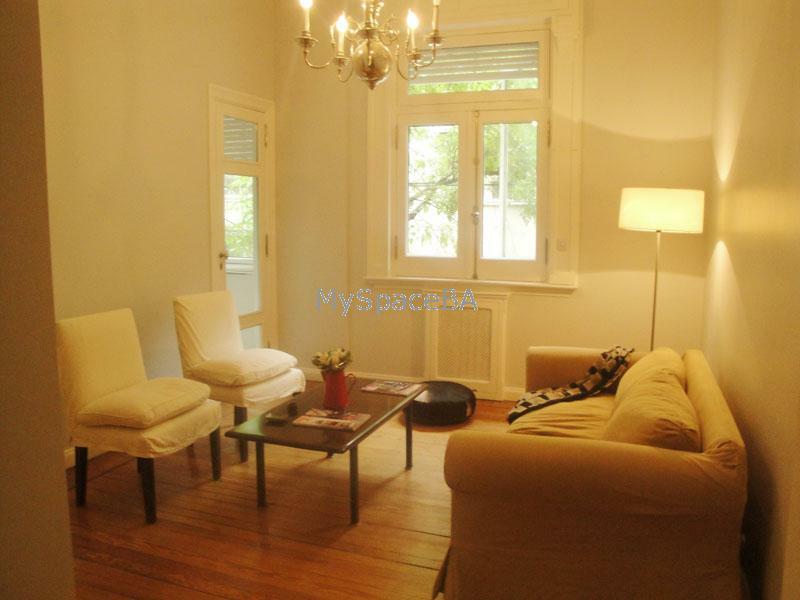 Beautiful two bedroom apartment located in Recoleta district. It is situated in a stylish building. The apartment has high ceiling and it offers an ample living - dining area , master bedroom with Queen Size bed, second bedroom with twins bed . Master bathroom with bathtub and shower, second bathroom with shower. TV LCD , Internet Wi fi , aircon cold/warm . Fully equipped kitchen . Washing machine . High ceilings, original hard wooden floor . Full of natural light . Very ample apartment . LCD TV . Aircon cold / warm . Internet Wi Fi . Two bedrooms . Two bathrooms. Fully equipped kitchen . Washing machine . Very stylish building . Elevators . Included: Electricity , gas , Water , internet , telephone for local calls. Expensas and city taxes .